Originally featured as a lap quilt, this pattern designed by Jean Kritenbrink is offered for free in twin size. Jean helps us use up our stash with squares and strips that are placed in a way to create the "peas in a pod" look. 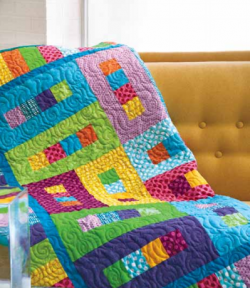 The pattern is complete with great colored diagrams and step-by-step instructions.